✅ Trip Verified | Athens to Larnaca. Aegean is a very professional airline, I have experienced many many flights with them, aircraft though cramped are in excellent condition, flight attendants are given top marks, whilst snacks etc at least on some routes are getting below average, for example on this flight we were given a tasteless small piece of bread which looked like a pie.. As on many airlines you have to pay for check in luggage, pay for a seat if you choose the first 12 rows etc. In general a punctual and reliable airline, but ever so often they avoid jet step walkways and this is my constant complaint, as it has happened many many times especially on this route to Larnaca, or even Munich and London.. On this flight for example we arrived under torrential rain, the airport at Larnaca was half empty and Aegean parked at a distance, go down the stairs, get wet, into the bus and then the drive to the underground entry to the airport. Dear Mr. Macolinos, we are sorry to hear that your overall experience was less than satisfactory. Our onboard menu is very carefully selected based on the Greek cuisine and please rest assured that we will pass your feedback to our colleagues at our catering services. Regarding your comment for the usage of the boarding bridge, we understand the inconvenience caused to you, due to the continuous rains of the past days. As you know though, the availability of the airport parking stands, including the boarding bridges, is granted by the respective airport authorities and while our aim is to allocate as many flights as possible to a boarding bridge, due to the limited availability thereof, it is not always feasible for us to do so. Kindly note that our overall boarding bridge usage on our flights is more than 60%. Nonetheless, your feedback is much appreciated and we do hope to host you on board soon. ✅ Trip Verified | Thessaloniki to Athens with Aegean Airlines. I felt cheated by the way they handled my luggage, which by all means did not exceed the maximum weight. The supervisor claimed that my luggage had to loosely fit in the paper box they were using to size the luggage. They charged me an additional $40 euros for the luggage when on the same trip I traveled with AA and Iberia and they gave me no problems with it. On top of it, the supervisor was rude. Dear Mr. Thornton, we are sorry you feel this way. A carry-on baggage must not exceed 8kg in weight and 56cm x 45cm x 25cm in dimension (including handles, pockets and wheels) as you can see here: https://bit.ly/2aycePp . If a carry-on baggage is on correct weight limit but exceeds the permitted dimensions, extra charges will apply. We would suggest you for future travels to always check dimensions and weight, and if you wish to buy extra kilos or luggage you can take advantage of the lowest online rates https://bit.ly/29zZzKj . Thank you for taking the time to share your feedback. 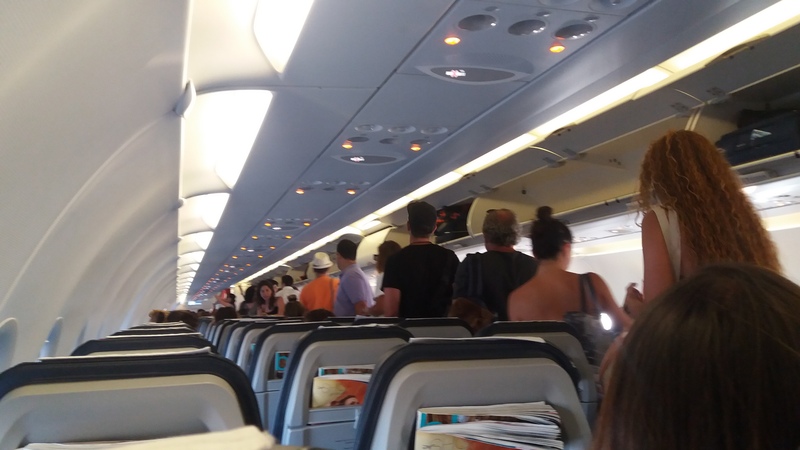 "was expecting something more from Aegean"
✅ Trip Verified | On 22th of August 2018, I was traveling with OA flight 254 Athens to Mytilene operated by Aegean. I am a gold member and with me were travelling my parents, my father with special assistance as he has had a coronary angiography. When I went to the lounge and asked at the front office to have my parents as guests, the answer was that I can take only one guest and it’s not possible to take both because the regulation is that only one guest can go with a Gold member. I replied that I know the regulation but due my father’s health circumstances, if they could make an exception and he could sit in a quiet place until boarding the aircraft, the response was again negative, only my father could come with me and my mother should wait outside. At this point I was wondering what would be happening if my mother came with us in an almost empty lounge. Probably they were afraid that they would eat the cheeses at the buffet. I was expecting something more from Aegean as they advertise all the time that: Aegean is civilization, they definitely have a strange idea about what civilization is. Mr. Alexakis, we felt really sorry when we read your review as we definitely can see your point. Indeed, our Gold customers may take 1 guest in the lounge and we regret that we did not overcome this “rule” due to the special circumstances you mentioned to us. While we have already shared your comments with our Colleagues at Athens Airport AEGEAN Business Lounge for their further consideration, we would like to count on your kind understanding that although, we would like to satisfy all such requests, we do not always have the chance to do so, as this might result to an “unfair” treatment among all our Gold member guests. We wish your father to have a quick and best recovery and please rest assured that your feedback is highly appreciated and will be further assessed. Thank you and hope to see you soon on board. ✅ Trip Verified | Edinburgh to Rhodes via Athens. 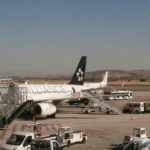 We have flown to Rhodes several times using holiday airlines, however last year we decided to use Aegean Air. I must say the experience was great, customer service was friendly and always felt taken care of during the flight. We enjoyed our Aegean Air experience so much we decided to book our next flight in October 19 to Rhodes for our honeymoon. We got a good deal with our flights, however we wished to extend our stay in Rhodes by 3/4 days and Aegean air were going to charge us double our flight cost for us both plus 50 euro each booking fees for changing a flight from a Thursday to Monday. This is rather high for changing one part of our flight. We were rather disappointied that we couldnt extend our stay in Rhodes due to the very high transfer charge - even although the flight isnt until October and its only April. This is rather annoying as they have ben such a good airline to deal with previously. Dear Mr. Beale, we warmly appreciate receiving your positive review on our provided services during your trip with us. I would like to inform you that for your next travel with us, you may select the Flex category for your ticket, in which, rebooking fees are not applied, in case of modification. We will be happy to welcome you on board soon again and offer you our services. Thank you! "kept up the high standards"
✅ Trip Verified | LGW-ATH-LHR Aegean Airlines. Aegean has kept up the high standards; on time, clean aircraft and excellent value for money. Hot meals and sweets on both sectors, with several rounds of drinks. 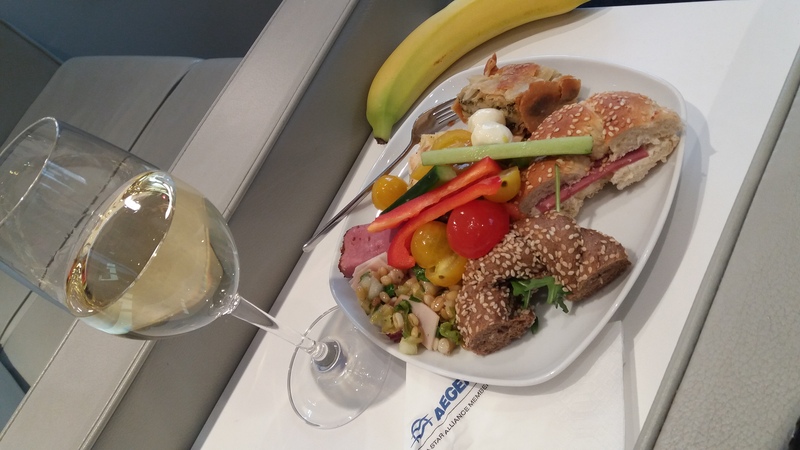 Aegean's economy class offering on medium haul is akin to business class with other airlines. 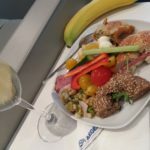 The return fare was £200 cheaper than British Airways who charge for sandwiches and drinks; BA's buy on board concept isn't suitable for destinations like Athens,Istanbul, Larnaca which are not 'short' haul. Dear Mr. Biskinis, thank you for sharing your overall positive review regarding your recent travel experience with us. We would like to assure you that we aim to provide you the best possible services in all stages of your trips with us. We thank you for taking the time to share your remarks with us and hope to welcome you on board soon again! ✅ Trip Verified | Samos to Heraklion via Athens. Aegean Airlines is probably the best airline in Greece, and its service meets higher end companies like Air France. The seats comfortable and space is enough. They rarely have delays and its overall a great experience. The prices for regional routes are quite high, but if you can book a month or two early, you can get a fair deal. Their miles and bonus system I think is below average and generally the promotions with banks to provide cheaper or free flights usually fails to meet expectations. All in all, I believe Aegean airlines is a very honest and professional Airline that meets most of the expectations you can have for a trip! Dear Mr. Psaltakis, we would like to thank you very much for the generous review. We will be pleased to host you again on our future flights! Thank you so much. ✅ Trip Verified | I've travelled with Aegean Airlines in the past and I've been always satisfied with that airline. This time was no exception. I took two flight over the last week. All the fights left on time and arrived early. Check in process in Athens airport was fine and no big line ups. The check in agent even manages to tag my bags to my final destination with a partner airline and they did follow. The crew on all the flights were nice and welcoming. They even helped to make space and store carry on bags in the overheard compartments so the flight could leave as soon as possible. They even hand out candy before take off which makes a nice touch of a warm Greek welcome. There's a complementary meal or snack provided depending on the flight time with a selection of drinks. 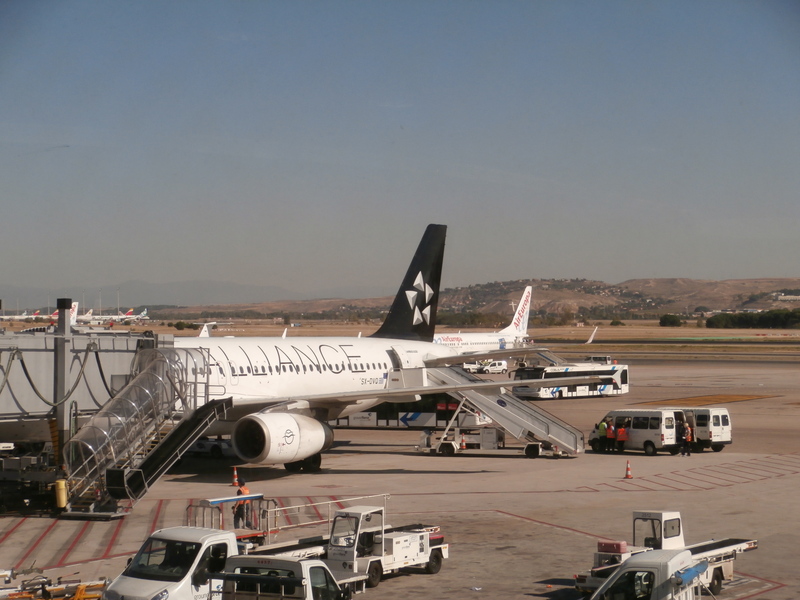 Aegean Airlines is one the best airlines and the service has improved a lot over the past years. The only downside is that they don't operate flights to the USA or Canada. I will defenetly fly back with them later this year. Dear Mr. Giannakopoulos, we thank you for sharing such a favorable review regarding your recent travel experience with us. It is always our pleasure to know that you have enjoyed our provided services throughout your trip! We are always happy to provide you with AEGEAN experience. ✅ Trip Verified | This review is about the Miles & Bonus Scheme. Aegean are focusing on their in-flight quality of service which is indeed very good. On the other hand their prices can be high even for short distance flights and their Miles & Bonus scheme is a joke. Although I have accumulated a great deal of spending miles, it seems I cannot spend any since in order to find free slots, I have to foresee a trip many months before and it has to not fall within their busy periods, making it pretty impossible to spend them. Even if you want to use the miles to fly 2-3 months ahead, you have to be willing to fly with other star alliance carriers and through other destinations (transit), hence doubling your flight time and hassle. I am a silver card holder (need one more flight to become gold), and I am entitled to 2 upgrades per year from economy to business class. Whenever I try to use these upgrades there never seem to be any available slots/seats. Then a year passes and these vouchers expire. The new trend is to put you on a waiting list and if the flight doesn't get full on that day, then they might upgrade you, but you can't know before the actual day of the trip. Dear Mr. Nalloucas, we are sorry to read your less than favorable review regarding our loyalty program, Miles+Bonus. Kindly allow us to inform you that there is a specific specific number of seats for each flight that can be used for upgrade by exchanging coupons from your Miles+Bonus account. In order to assist you, we offer the option of waiting list or last minute upgrade at the airport. Since your remarks are valuable for us, we will share them internally for further evaluation. In any case, our colleagues at Customer Relations team (https://bit.ly/2T1bjI1) will happy to assist you with any further clarification or assistance you may need. 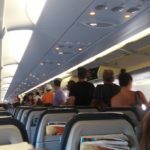 "half of the cabin unserved"
✅ Trip Verified | Athens to Heraklion. Arrival at the airport baggage drop off area, only one counter was servicing 4-5 flights of that time period, while a second one had computer problems and 2 others for B/C and 1 for Special Services were just standing looking the line piling up. When protested about the waiting time which was around 25 mins, no one offered to help with checking in. A second disappointment occurred in the aircraft, where the crew didn't manage (once more) to complete the inflight beverage service. Rather tired from the previous duty, left half of the cabin unserved. Overall, Aegean seems to follow the bad path of the sole Greek air provider by service and quality rapid degradation. Dear Mr. Nicolau, we are sorry to hear that your experience with us left you unsatisfied. At AEGEAN we give our best to provide you with the best services both on and off board and your input is valuable to us. Therefore, we would like to further check your case and provide you with all necessary clarifications. Kindly please fill in the following contact form https://aegeanairlines.custhelp.com/app/ask and our colleagues will contact with you the soonest. We thank you for your preference to us and for taking the time to share your comments with us. ✅ Trip Verified | Athens to Paris. Quite rude security check after passport control when boarding starts. One manager asked to take my passport without any greeting and was looking at me for 20 seconds and then just got back my passport without saying a word. It was a feeling like I’m a second class citizen maybe because I have Russian passport. Dear Mr. Kozlov, we are really sorry reading your less than favorable comments regarding the specific travel experience with us. If you wish, our colleagues from our Customer Relations team to further check it, please send all the necessary information via https://bit.ly/2qVYsuI. We are at your disposal.